Thomas Horch was born in 1964 in Hanau. He studied with Hans Kuhner (Radio Symphony Orchestra, Frankfurt) and subsequently with Prof. Branimir Slokar at the Cologne Music Academy. While still a student, the twenty-two year old musician was engaged for the position of solo trombonist with the Berlin Philharmonic under its former Chief Conductor Herbert von Karajan. In 1990 he switched to the Symphonieorchester des Bayerischen Rundfunks after having emerged as a prizewinner from the ARD International Music Competition the year before. 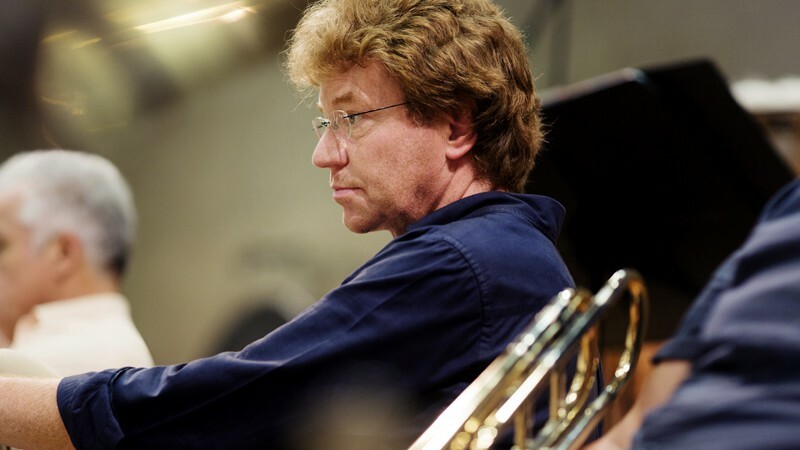 We should not forget his interest in chamber music for brass instruments, as manifested in his long years of membership in the Ensemble “German Brass” and the “Münchner Posaunen 4uartett”, for which he has directed two highly regarded CD productions both as trombonist and arranger. In his capacity as arranger and publisher, he always seeks to discover, arrange or commission quality music for his instrument. Thomas Horch has given master classes, for instance at the “Pacific Music Festival” in Sapporo, Japan; the Spanish National Youth Orchestra, the “German Brass Academy” in Krefeld, at the Tel Aviv Conservatory in Israel and, for several years now, at the “Hamamatsu International Wind Festival” in Hamamatsu, Japan. Besides this, he teaches as a professor of trombone at the Academy of Music and Theatre in Munich.